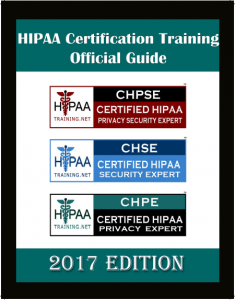 This HIPAA training manual contains more than 600 pages hence making it an ideal pick for a HIPAA Compliance officer, members of the compliance team, executives and managers, HIPAA consultants, HIPAA instructors and anyone who is need of HIPAA Compliance regulations. The manual can also be used for Self-study or training others using PowerPoint. If you are interested we can deliver the manual at an affordable rate and feel free to review the book. Below is a link to buy the book.